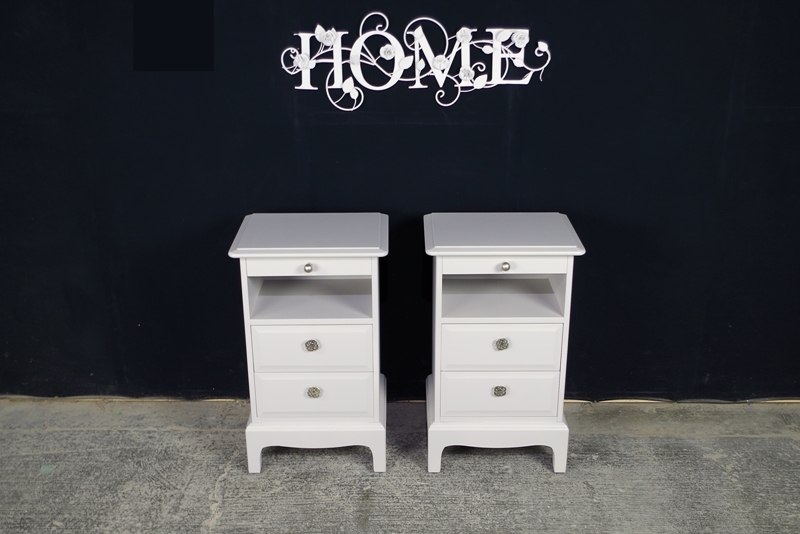 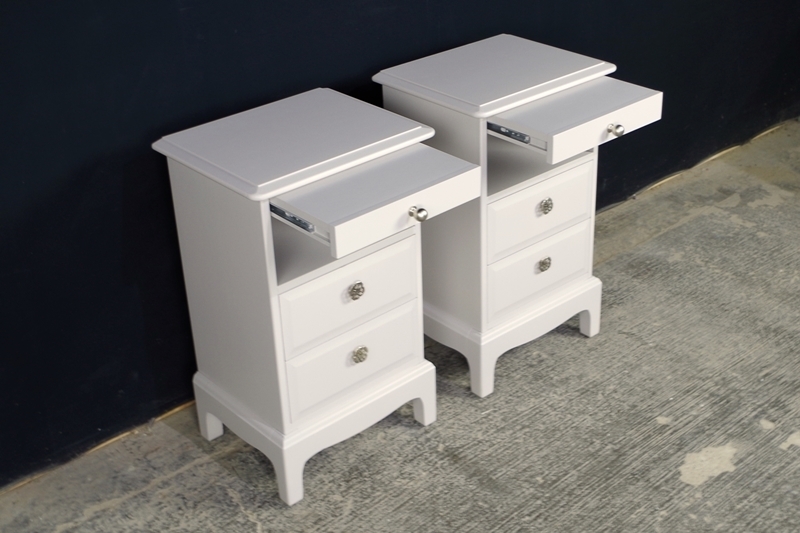 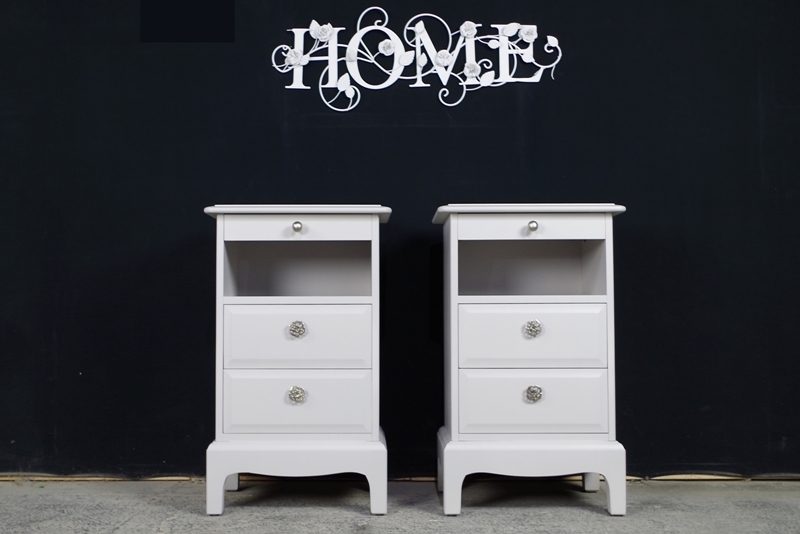 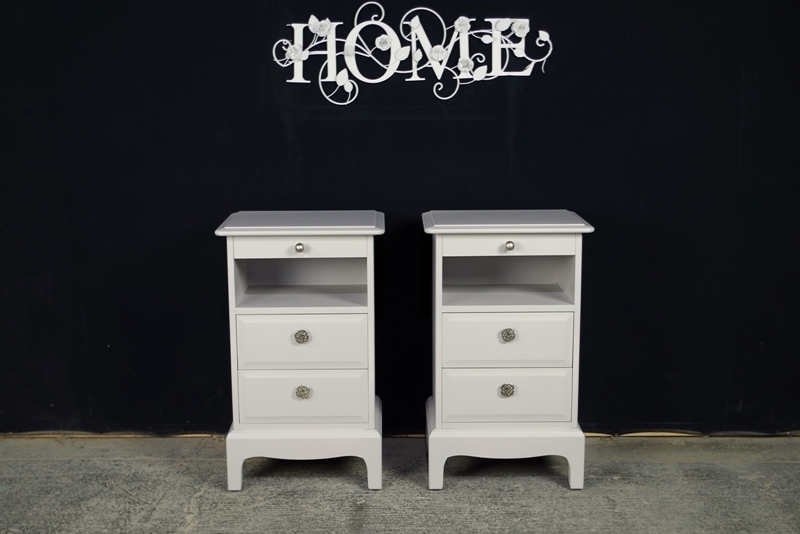 A pair of Stag Minstrel bedside tables. 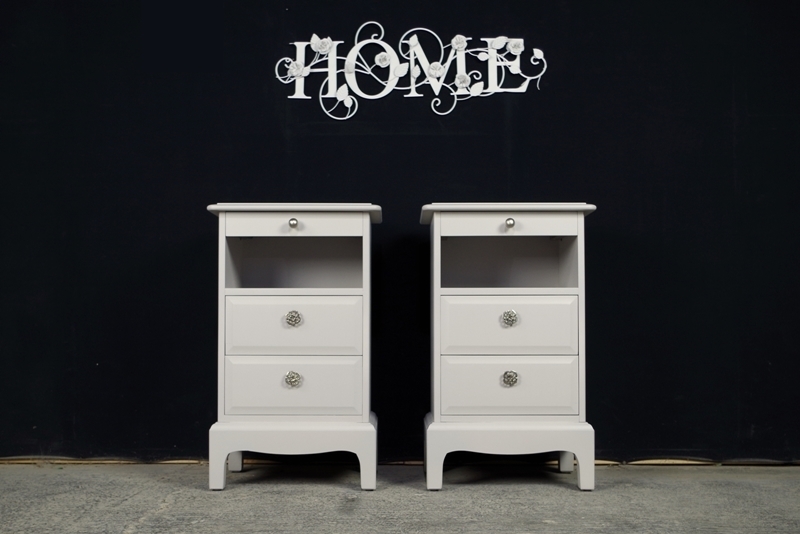 Each table has two drawers with a pull out shelf above an open section. 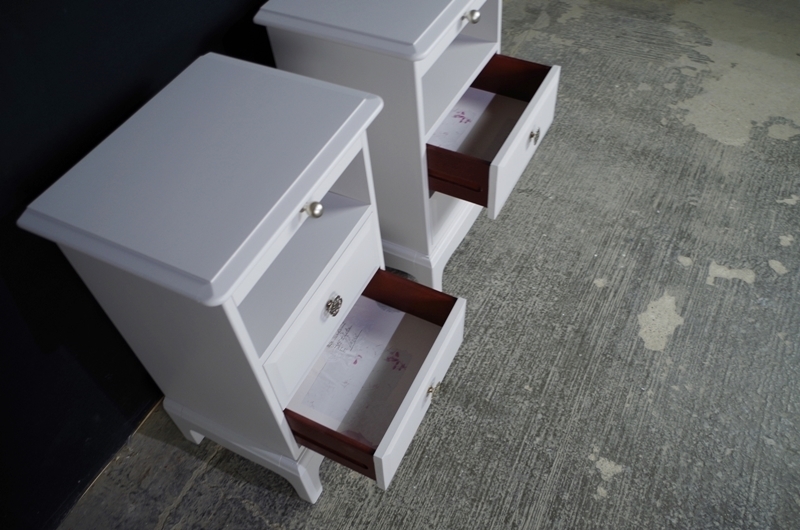 The inside of the drawers have also been papered with 'Lavender Days' paper. 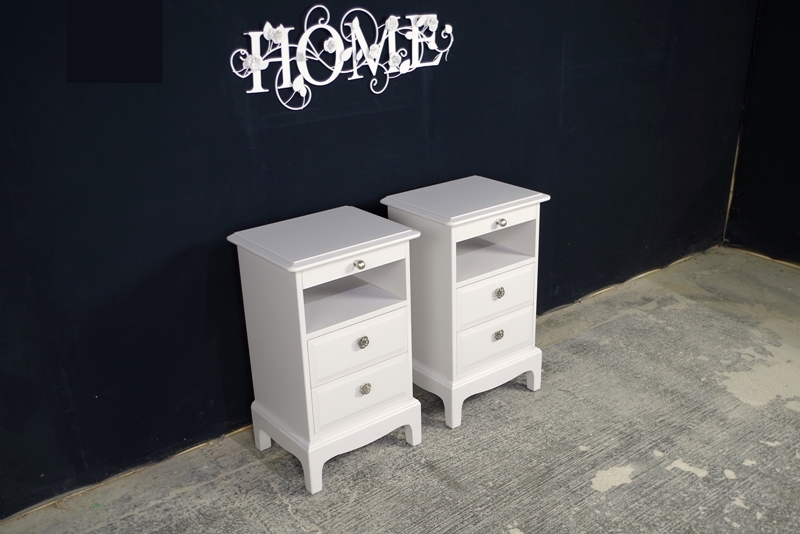 We added new cloverleaf drawer pulls.